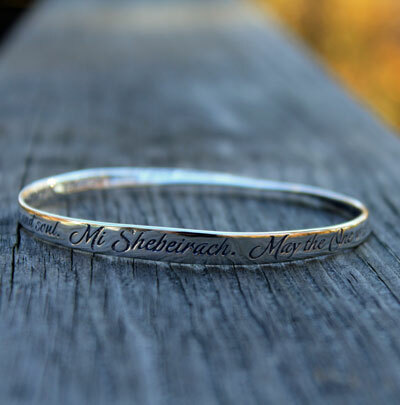 This .925 sterling silver bangle bracelet is finely engraved with the Mi Shebeirach. 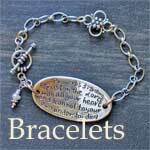 May the One who blessed our ancestors, Abraham, Isaac and Jacob, Sarah, Rebecca, Rachel and Leah, bless those in need with healing. May the Holy One have Mercy and grant a complete healing and renewal of mind, body and soul.